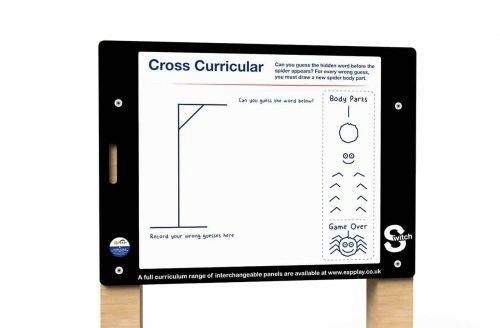 Our cross-curricular outdoor classroom resources are designed to give teachers a range of purpose built whiteboard options for outside active learning lessons across a variety of subject areas. They are ideal for small group, paired and individual work and can help students with developing collaborative and independent learning skills. 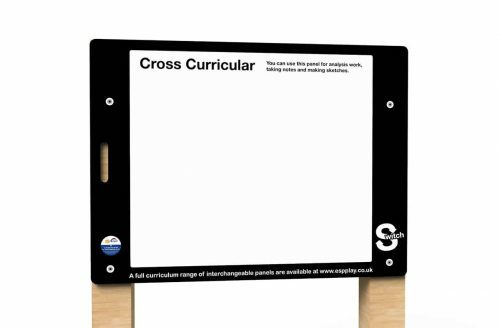 The cross-curricular and connections boards can be used by pupils of all ages to analyse, make notes, find comparisons and make sketches. They also make a great tool for helping groups give feedback to the class during outdoor plenaries. 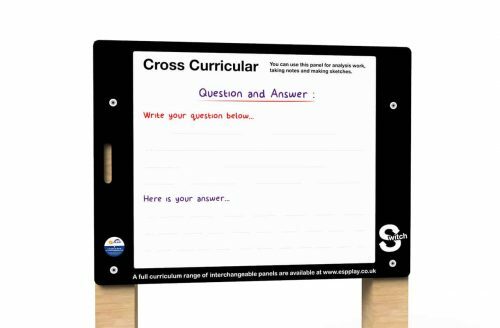 Our question and answer board can be incorporated into a wide variety of cooperative strategy and active learning techniques such as ‘think pair share’ and ‘round robin’ and enable pupils to formulate their own responses after collaborating with others. Doing these activities outdoors helps reduce disruption to neighbouring classrooms whilst giving students more space to work without desks and chairs getting in the way. 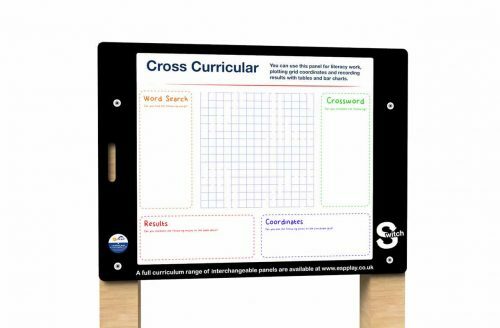 For more games orientated activities, we also have our Spiderman board, based on the hangman game, and our Crossword Grid board, which can be used for a wide variety of activities: word searches, coordinates, graphs, etc. Being part of our Switch range, individual boards can be swapped between lessons and used only when required.